W. JACK MILLAR LL.B., LL.M. including Tax & Trade Litigation. COMMODITY TAX Jacks Commodity Tax practice encompasses all Canadian indirect taxes, and includes all matters relating to Canada's Goods and Services Tax (GST) and Harmonized Sales Tax (HST), and all matters relating to Canada's various provincial sales taxes like the Ontario, Manitoba and Saskatchewan retail sales taxes (RST), the British Columbia social services tax (SST), and the Quebec sales tax (QST). His Commodity Tax practice also encompasses a variety of other indirect taxes, like the Employer Health Tax (EHT), and a range of excise taxes applying to goods like tobacco, alcohol, jewellery, gasoline and other motive fuels. CUSTOMS & TRADE Jack's Customs & Trade practice encompasses all matters involving customs and trade. On the Customs side, this includes Tariff Classification, Origin, Valuation, Marking, Seizures, Ascertained Forfeitures, and Administrative Monetary Penalty (AMPs) related matters. On the Trade side, this includes North American Free Trade Agreement (NAFTA) matters including NAFTA Origin, Exporter Verification, and Government Procurement issues as well as Anti-dumping / Countervail (SIMA), World Trade Organization (WTO) and GATT matters. TAX-RELATED MATTERS Finally, Jack also specializes in a number of other tax and trade related areas, including the tax, customs and competition issues arising on the establishment of a business in Canada; the valuation and transfer pricing issues arising between multinational enterprises; the issues arising on the transfer of business personnel to Canada; disputes relating to employee vs. independent contractor status under Canadas various federal and provincial tax legislation; and on all other matters relating to the cross-border movement of goods, services and labour. TAX & TRADE LITIGATION is an integral element of Jacks practice, with Jack litigating tax and trade matters before all relevant bodies, tribunals and courts, including the Tax Court of Canada, Canadian International Trade Tribunal, Federal Court, Federal Court of Appeal, and Canada s various provincial Superior Courts and Courts of Appeal, and the Supreme Court of Canada. At MILLAR KREKLEWETZ LLP, we believe that our litigation skill, combined with our "hands-on" tax and trade knowledge, gives us a competitive advantage. Jacks practice also includes representation work before all government levels. 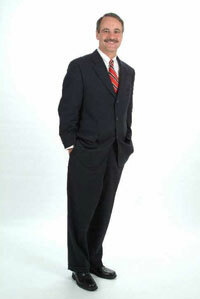 MILLAR KREKLEWETZ LLP also provides cost effective solutions for small to medium-sized businesses, and entrepreneurs. MILLAR KREKLEWETZ LLPalso offers Industry Specific Advice, and Jack advises a number of industry specific associations on all aspects of tax and trade regulation affecting them. During our long-time relationship with the Canadian Direct Sellers Association (DSA), we have advised virtually every major Canadian direct selling company on the tax, trade, competition or licensing requirements involved in the establishment or operation of their business in Canada . MILLAR KREKLEWETZ LLP also continues to advise many other national associations, like the Canadian Finance and Leasing Association (CFLA), and the Canadian Real Estate Association (CREA), who come to us for the degree of specialization offered. Jack is listed in the Canadian Whos Who, the International Whos Who of Professionals and has been rated as one of the Leading Lawyers in American Lawyers The Top 500 Canadian Lawyers and as a Leading Practitioner in the LEXPERT Canadian Legal Directory. Jack has acted as a consultant to the Department of Finance, the Department of National Revenue, the Office of the Auditor General and the Governments of Ontario and British Columbia on commodity tax and customs matters and has appeared before the Legislative and the Finance Committees of the House of Commons on proposed tax and customs legislation. Jack has served on various Department of Finance and Revenue Canada Committees dealing with the GST/HST legislation, its implementation and administration, the establishment of the Canada Customs and Revenue Agency and the Appeals Advisory Committee. Jack is currently a member of the CRAs Ministers Advisory Committee. Jack has written and spoken extensively in the commodity tax and customs areas. He is on the Editorial Board of the Canadian Tax Journal and a Contributing Editor to the Sales and Use Tax Journal. He is a past Editor of the GST & Commodity Tax Newsletter and the Canada GST Service. He is the GST Lecturer at the CBA Tax Law for Lawyers Course. He has spoken at the Canadian Tax Foundation, the Tax Executives Institute, the Canadian Association of Importers and Exporters, the CICA Commodity Tax Symposium and the Harvard International Tax Program, and has appeared on CBC Newsworld, The Journal and Law-Line. Jack is a past Governor of the Canadian Tax Foundation and past Chair of the Canadian Bar Association, National Sales and Commodity Tax Section. He is the Chair of the Tax Committee of the Metropolitan Toronto Board of Trade and a Director of the Canadian Direct Sellers Association.